Aspire has partnered with award winning financial planner William Johns from Health and Finance Integrated. William has extensive experience in providing families with financial planning advice as well as investments, debt reduction and special disability trusts. He has a Masters in disability services and is dedicated to utilising his social enterprise to invest in the community. 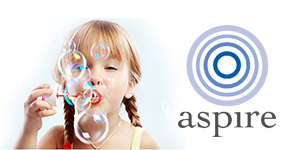 As an Aspire client you may be eligible for specific discounts on Health & Finance services. William currently provides a free consultation for families who have completed an intake with us. If you would like to have a chat with William please contact him directly, or alternatively, let us know so that we can help you get in touch.